Game of Thrones worshippers are going to bend the knee at the actual location of Dragonstone — where Daenerys Targaryen finally came home crossing the Narrow Sea to Dragonstone in the seventh season of Game of Thrones — the steps leading up to San Juan de Gaztelugatxe, a church and former monastery, near a village called Bakio in Spain’s Basque region. More than 75,000 tourists have walked, literally, in the steps of Daenerys as of July 2017. That means some 2,400 people every day made the monumental journey up the narrow and crumbling flight of ancient stairs in order to feel what the mother of dragons felt. 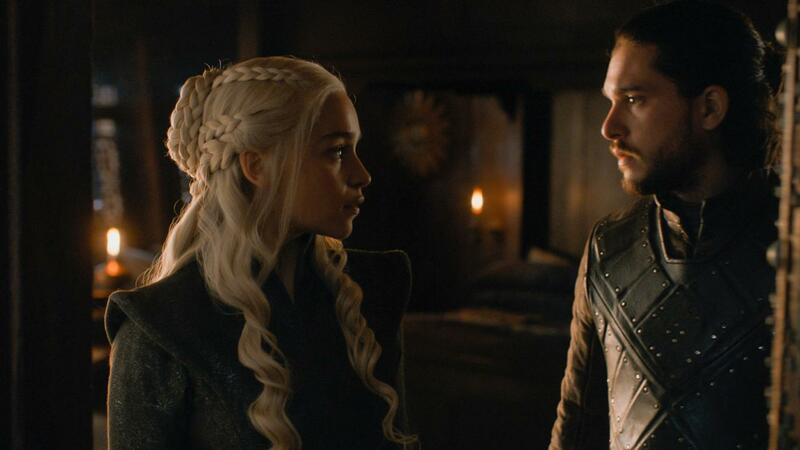 The 241 steps that Khalesi and Jon Snow walk are part of a very real, close to 1,000-yr-old, man-made land bridge leading out to the former monastery named for Saint John the Baptist, which is tethered to the coast by a bit of land the bridge. Over the years, pilgrims and visitors alike have come to San Juan de Gaztelugatxe for their chance to ring the church’s bell at the end of the long and hard climb to keep away the evil eye. And now it has been clanging nonstop all summer. Meanwhile, local tourism authorities are struggling to find a way to keep the landmark from literally crumbling under the pressure of all these visitors. From limiting the number of cars to levying a fee to walk the steps, all plans are being considered. As of now, its free for the brave and dedicated souls that make the climb. Before Game of Thrones came about, a trip to San Juan de Gaztelugatxe was off the beaten path. About an hour from the town of Bilbao, down a narrow portion of the country highway occupied mostly by Basque bicyclists, and nearly as many sheep. It’s gorgeous, remote and a reminder of an era of monotheistic gods and such churches visited to pray for sailors at sea. These days, however, another kind of prayer might be necessary — to keep this gorgeous landmark as untouched and beautiful as it has always been before the Targaryens made their journey here. Read next: Why are some weird Wikipedia pages completely deleted forever?